Before filling out this form, please study the nomination criteria and prepare resources that reflect how your candidate meets them. The deadline for submission of candidates is June 1st. Must be an organization or living person. Describe the work for peace and/or human rights that qualifies this person or organization for the Nobel Peace Prize. Describe how the candidate meets the criteria of the Nobel Peace Prize Nominating Task Group, as described in the 'Criteria' section of this web site. Please be as specific as possible. 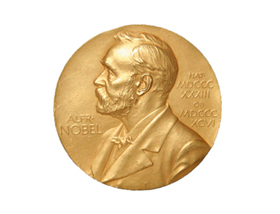 Please list specific sources that the Nobel Peace Prize Nominating Task Group can consult for more information about this candidate, e.g., websites, books, articles, films, etc. Please include resources that are not created by the nominee. Please provide your email address so the AFSC Committee can contact you with questions about your candidate. If you are a part of a Quaker Meeting please identify which one. What will happen to your submission? Your submission will be acknowledged by the Clerk of the Nobel Peace Prize Nominating Task Group. Along with supporting information, it will then be shared with the members of the Nobel Peace Prize Nominating Task Group. It will be discussed at a subsequent telephone conference of the Task Group, and taken forward as appropriate. All nominations receive prayerful consideration. The Task Group will meet in October to make its final determination, which will then be presented to the AFSC Board for approval. The Executive Secretary of AFSC will then send a letter with supporting documentation to the Nobel Committee in Oslo. Once our nomination has been received in Oslo, we will notify all who have sent submissions of the Quaker nominee for the year.